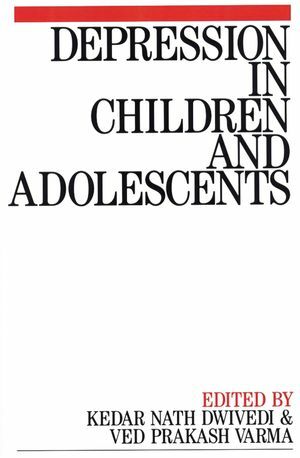 This book, which draws together contributions from specialists in child, adolescent and family psychiatry, child psychotherapy, social work, community psychiatric nursing, educational therapy, special needs coordination in teaching, and general practice, provides a valuable resource for those professionals in contact with young people suffering from depression. Kedar Nath Dwivedi is the editor of Depression in Children and Adolescents, published by Wiley. Ved Prakash Varma is the editor of Depression in Children and Adolescents, published by Wiley. The Nature of Depression in Childhood - its Causes and Presentation, Julian Brockless. Clinical Assessment and Planning for Treatment, Ingrid Davison. The Family Background - The Social Worker's Input, Joan Hutten,. Cognitive Behavioural Therapy for depression in Children and Adolescents, Mary Evans and Ann Murphy. The Place of drugs in Treatment, Finn Cosgrove. The Hidden Factor - an Educational perspective of Depression in Learning, Muriel Barrett and Judith Waterfield. The way Forward - Developing a Comprehensive Service, Philip Barker.